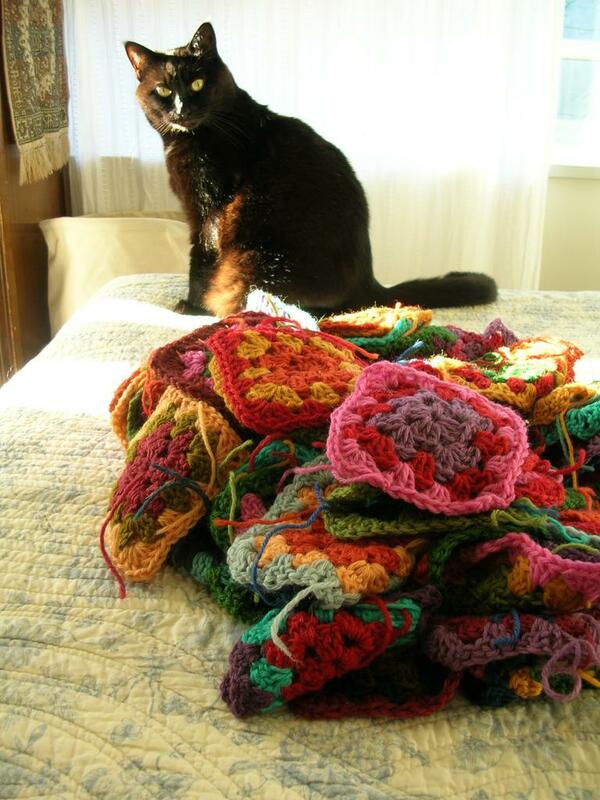 Stitchy: Kaffe Fassett grannie squares! Yet another unfinished project. The wool is from a Kaffe Fassett sweater kit I bought before I even started knitting. I wasn’t planning to attempt the intricate sweater. That was and would still be way beyond my skill level. I used to volunteer as a docent at The Canadian Craft Museum in Vancouver here, and they had the kit left over from an exhibit of his. It was one of those deals I just couldn't pass up! There's my girl cat, Shadow. 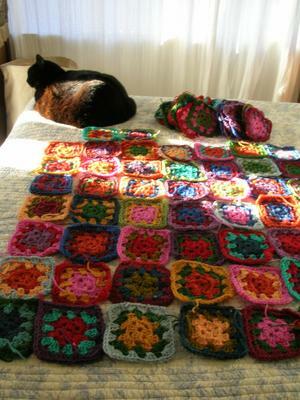 granny square afghans are lovely. those multi-coloured boxes look great, yum. but to speed things up, and make the design larger- would you consider using a similar weight yarn, and do solid-colour blocks... alternating with them and the multi-coloured blocks?